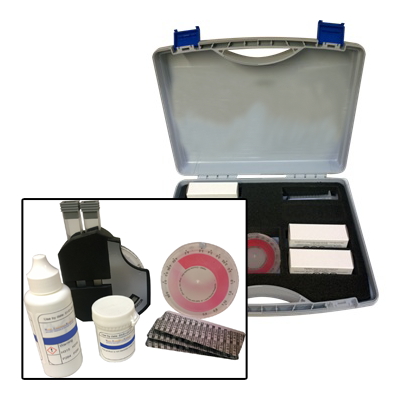 A comparator test kit that can be used to measure the levels of manganese present in system waters. The presence of manganese in drinking water to lead to a brown-black haze and potential deposition on surfaces. It is an important parameter in the measurement of bore hole water supplies.